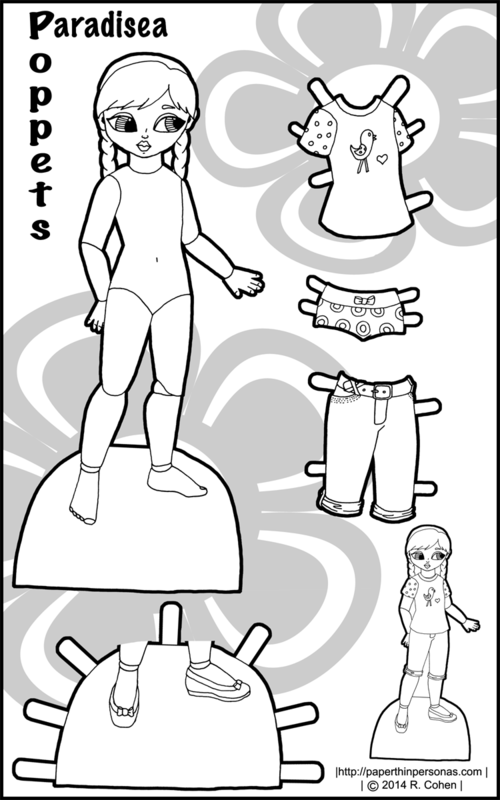 Today’s printable paper doll is nearly the last of my 2014 backlog. Not to suggest I don’t have half finished paper dolls sitting around my hard drive waiting to be finished, because I have those dating back years and years, but this is the last piece of finished work from 2014. It feels good to get her up and shared. I’m very pleased that the blog continues to chug along quite nicely. I got a lot of work done with my three day weekend. There will be some Buxom and Bodacious soon and a Pixie post, I think and some sketch book previews this week. All fun stuff. 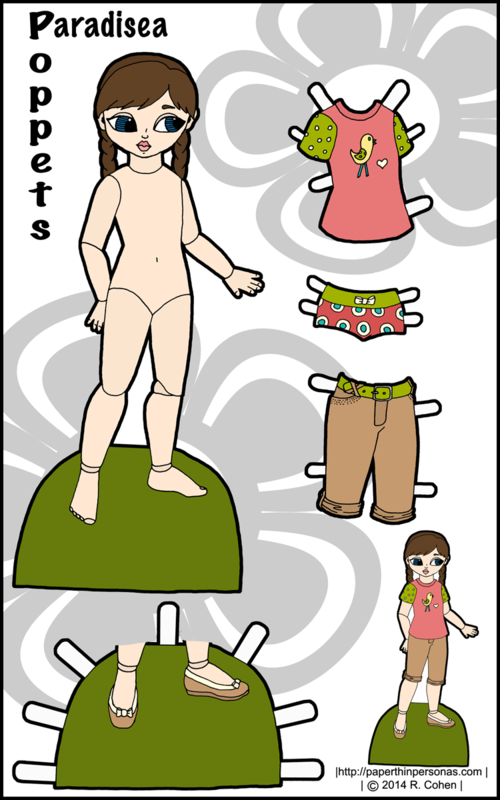 Meanwhile, we have our latest Poppet paper doll here. She’s named Paradisea, one of the last of the P flower names that I have on file. I might have to switch to other names starting with P or to other flowers. I’m divided on which is a better solution. I do love me my alliteration. Paradisea has a t-shirt and jeans. Her paper clothes are in the way color scheme as Petal’s clothing, allowing the dolls to mix and match. After all, paper doll friends should be able to share their clothes with each other. I think you should stick with P names, if only because it’s alliterative. Love your website, by the way, I always look forward to seeing what new stuff you come up with.